We're expected to be "A" students. Perfect parents. Supermodel slim. On top of the latest trends. We spend a third of our lives working, and most of us are underpaid. We're encouraged to spend the other two-thirds getting enough sleep, exercising, keeping up with current events, participating in extracurricular activities, eating healthy, taking care of our families and pets, doing homework, attending social events - and somehow squeeze in time "for ourselves." It's not enough that we do all of those things; we also have to be the best at them, or be judged by ourselves and others. And we absolutely can't admit that we're struggling, or ask for help. With all of these unrealistic expectations, it's no wonder that we are more depressed and anxious than ever before. At any point in time, 30% of adults and 20% of adolescents are dealing with a mental health condition, and countless others are having problems with work, parenting, relationships, school, or other important life situations. Life makes us all loose in the joints and very shabby. You don't have to be what the world wants you to be. You can and should flaunt convention if it moves you in the direction of the things that are truly important. You can be imperfect, complex, and messy because that’s what Real people are. We’re here to help you embrace your Realness and work toward living an authentic and meaningful life. *Disclaimer: Therapy reflects the complexities of life. 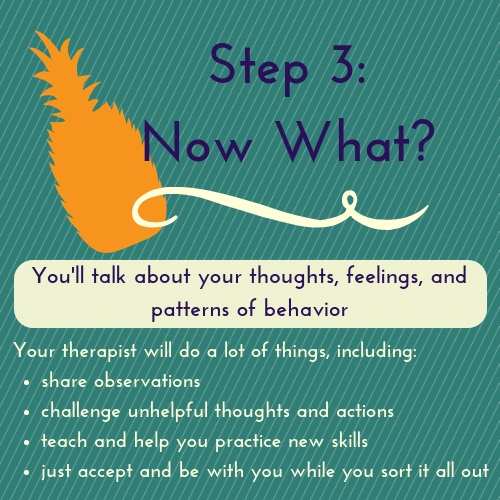 You won’t always feel better during or after a therapy session - in fact, sometimes you might feel worse - but you may come away with a new or more clear understanding of how you can live your life better. You don’t only have to focus on problems, either. Reflecting on and understanding improvements and strengths is also important to help reinforce all of the hard work you’re putting in. Finding the right fit with your therapist is important, since successful therapy often requires you to be honest and vulnerable. Goodness of fit is not necessarily how similar or different you are to your therapist in terms of age, gender, culture, race, background, or life experiences (although these can be extremely important!). A good fit involves mutual respect and appreciation, agreement on the focus and goals of therapy, and a feeling that your therapist "gets it." Our philosophy is that a dispassionate or overly-clinical therapist does not always help people feel respected or understood. 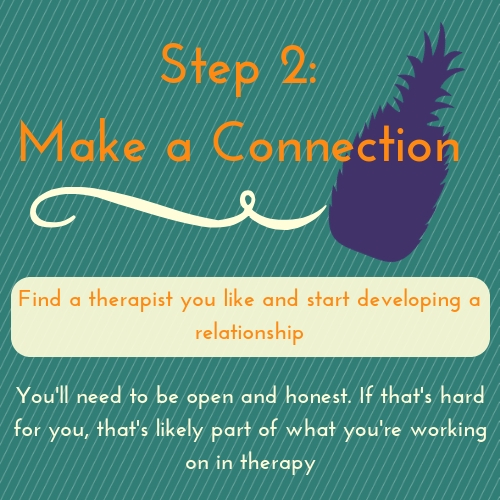 We think the therapy magic often happens when your relationship with your therapist reflects what relationships with other humans are really like, and it’s also a good place to practice dealing with issues that are challenging in your relationships with others. We therefore aim to build real connections with our clients through warmth and radical genuineness. You might have noticed the pineapple motif in our logo and wondered what that has to do with therapy. I picked the pineapple because I’ve thought for a very long time now that pineapples are a sort of weird and wonderful thing. We live in a world that has no shortage of pain and ugliness, and it’s often easy to get weighed down by the seriousness of it all. For me, the pineapple - in all of its ridiculous, tasty complexity - is a reminder that life doesn’t have to be so serious that we can’t still open ourselves up to experiencing the wonder and beauty in even the most mundane things. As a symbol of welcome and hospitality, the pineapple also reflects my values of warmth and openness, which I want to embody in my practice and in the world. Not to mention there’s a metaphor here about how pineapples, like people, have parts that are sweet and parts that are painful, but that’s just low-hanging fruit. Working with me, you can expect frequent metaphors and maybe a few dumb puns like that. In my approach I strive to hold the balance between hope and despair, seriousness and silliness, and accepting you as you are while encouraging you to be better. Unfortunately I don’t have any current openings in my schedule for new clients, but I’m always happy to give recommendations and referrals to other providers so please feel free to reach out. I understand that coming to therapy can feel intimidating, awkward or embarrassing at first, but my goal is to make you feel as comfortable as possible. 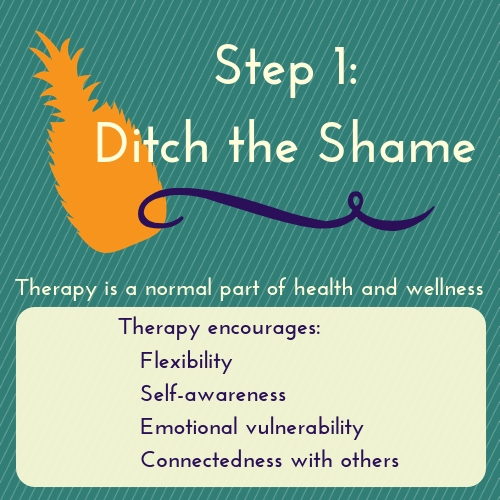 In reality, therapy is something that all of us can benefit from, and there is no shame in seeking out support. Personally, I don’t claim to know all of the answers. I am imperfect just like everyone else. What I bring to the table is my authentic self; someone who is genuinely passionate about helping people, empathetic, and open-minded. Some of my educational background and interests include psychology, social work, meditation, yoga, nutrition and sports. 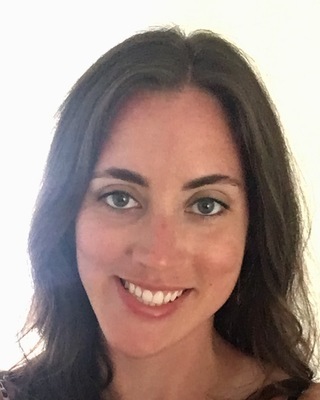 Professionally, I have spent the past five years as a high school social worker providing individual, group, and family therapy for a variety of mental health issues and disabilities. I have also spent this time coaching basketball for young women. The experiences I've had as a social worker, coach, and athlete have shown me the power of self-care and social connections. These are values that greatly motivate me as a therapist. Therapy with me will be a collaborative process of building trust and coming up with solutions as a team. I will help you process your thoughts and feelings, challenge your negative beliefs, and encourage you to try new things. Ultimately, my hope is to empower you to realize the potential that already exists within you. Megan is in network with Blue Cross Blue Shield PPO, Blue Choice PPO, Cigna, United, and Magellan insurance plans. She is currently unavailable to see new clients at the present time. Therapy has to feel comfortable enough to talk about uncomfortable things. To me that means creating the balance between listening, reflection, silence, a touch of advice, some championing, and a healthy dose of humor. I see therapy as a collaboration to work towards your goals, or maybe figure out what your goals even are. I've worked with adults and adolescents from many walks of life, which helps me appreciate how many ways there are to be. Specifically, I have a background in art and feel comfortable helping artists, musicians and other creative types work through obstacles. You can be creative and not miserable! I also have experience living abroad in Asia and am able to help with cross-cultural issues such as adjusting to life in the US. On a personal note, I enjoy painting and absorbing music and movies. I've re-discovered ice-skating and swimming as an adult and they are great! Other interests include making waffles at home (a great form of self-care). Therapy with me will give you a chance to feel heard, understood and accepted for who you are and what you’re facing. There’s no predetermined set of answers that everyone forgot to tell you about, so I’ll work with you to help sort through your thoughts and feelings until you are able to discover some possibilities. Andrew is in network with Blue Cross Blue Shield PPO, Blue Choice PPO, and United insurance plans. He is currently accepting new clients on Tuesday and Thursday evenings. 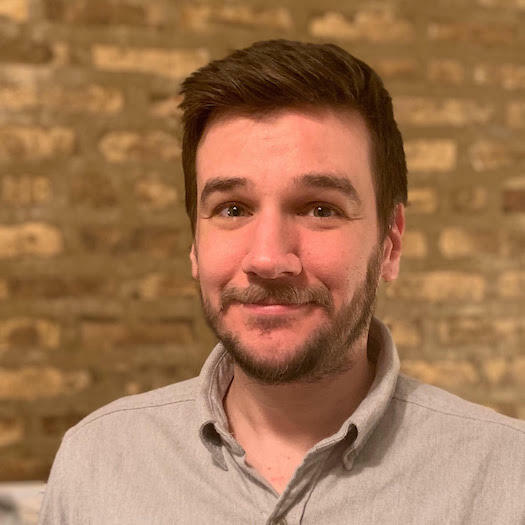 While Andrew is not yet in network with other insurance companies, he is able to work with clients that want to use their insurance’s out-of-network benefits or pay out-of-pocket. For more information about using out-of-network benefits or paying out-of-pocket, or to set up your initial appointment with Andrew, contact Gina. Are you a licensed therapist interested in joining our team? Click here to tell us about yourself.